Shiver me timbers and blow the man down. If you see Captain Hook and Captain Jack Sparrow at the pirate festival quaffing grog together in a local pub, you are not imaging things. Pirates, salty dogs and landlubbers will come together Oct. 6 – 8, 2017, for the 12th Annual Fort Myers Beach Pirate Festival. Named the #2 Pirate Festival in the Country by USA Today, this family-friendly event attracts 3,000 people per day to the island. The fun starts on Friday night with The Pub Quest, a Pirate Pub Crawl that includes stops in several restaurants and bars. Grab your tricorn hat and plastic sword for the children’s costume contests from 10 – 11 a.m. There’s a contest for pets, too, so find an eye patch and boots for Fido. Starting at 11 a.m., try your luck with the Kid’s Fishing Tournament. The first 25 children each day get a free fishing pole. 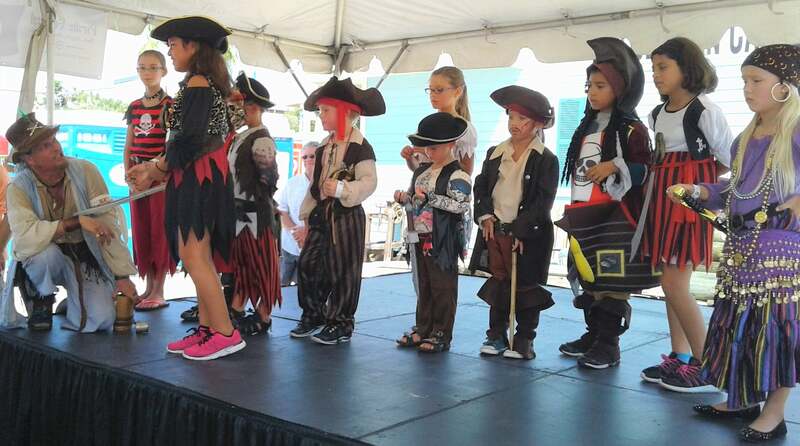 Kids can also enjoy storytelling each afternoon from 2 – 3 p.m. and participate in the “Find the Pirate” scavenger hunt. On both days from 2 – 2:45 p.m., watch the Sea Battle on Matanzas Harbor. Musical groups – including Celtic Conundrum and The Rusty Anchors – play from 11 a.m. to 5 p.m. The Vendor Artist Market features 40 vendors offering everything from pirate items to pet supplies. Artisans include these swabs who build custom ship’s figureheads. Watch or participate in the pumpkin pie eating contest. 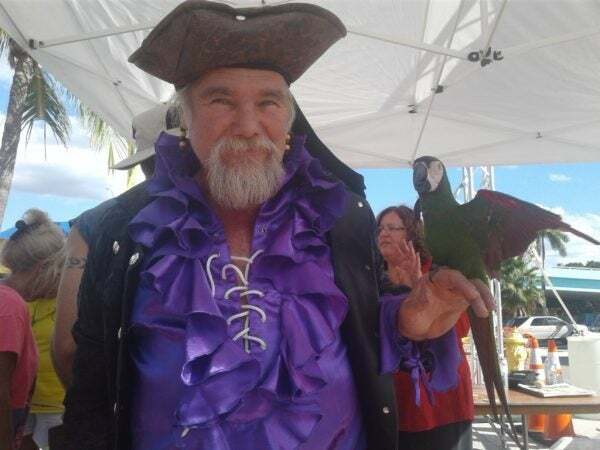 And, take a cruise aboard the Fort Myers Princess, Black Duck, Black Pearl, or Pieces of Eight. Most activities take place in Times Square and Old San Carlos Blvd. There is a $5 donation for adult entry (ages 12 and older). 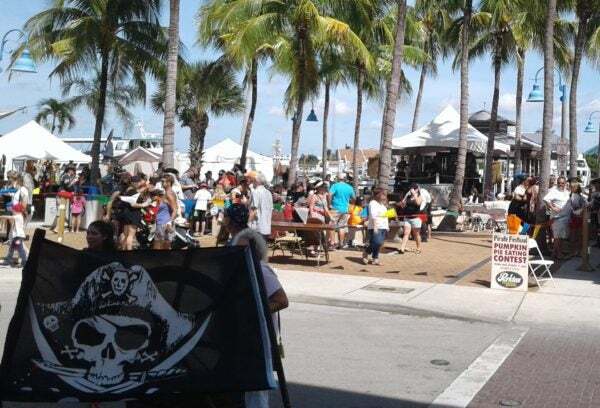 Follow The Fort Myers Beach Pirate Festival on Facebook. Find your Sun Palace Vacations rental today, and download our FREE Fort Myers Beach Vacation Guide!